Loving our neighbor is a way we can express love to the Lord. “You must love the Lord your God with all your heart, all your soul, and all your mind. This is the first and greatest commandment. A second is equally important: Love your neighbor as yourself” (Matthew 22:37-39). Here is a list of 61 ideas to get you started. 1Join or lead a spiritual growth group. Our "Journey Programs" are good choices. 2Spend time in solitude, meditation. 3Read from sacred text on a daily basis. 5Educate yourself about other cultures – gain a better understanding of other people different than yourself and their needs. 6Visit another local church, synagogue, or mosque from different faiths to practice respect and honor for other’s worship. 7Make a conscious effort to stop a bad habit, asking the Lord for help. 8Honor your unique qualities as gifts from the Lord. 9Think from a place of gratitude, take time out of each day to think of what the Lord has provided for you. 10Practice active patience, especially when others around you are upset and frustrated. 11Breathe — acknowledge the present moment. 12Treat your body with respect (how you use it and what you put in it). 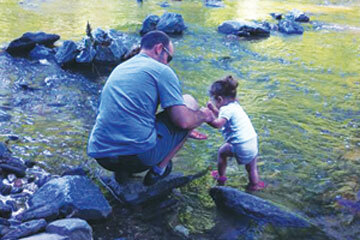 13Keep yourself refreshed and invigorated with a hobby you enjoy. 14Random acts of kindness — give up your seat on a bus, open door for others, etc. 15Say thank you to those around you — thank people for being who they are, thank them for their gifts God has given them, thank them for the good you see in them. 17When you find yourself feeling grateful for someone, follow through and let them know you appreciate them (perhaps send a “thinking of you” card). 18Give small and thoughtful gifts to your spouse or good friends you appreciate. 19Ask someone “how are you?” and wait and truly listen to the response, a friend, a spouse, or even a new acquaintance. 20Read the Word together with your spouse. 21Share a favorite quote from the Word with a friend. 22Send an anniversary card to married couples you know. 23Invite a friend to church. Better yet, pick them up and go together. 24Help out a friend with transportation (give them a ride, fill it up with gas, help change the oil). 25Pray together as a family. 26Give to those in need. 27Hold hands with your spouse to show them you care. 28Help with outdoor maintenance of the home of someone in need. 30Do good for others without expecting reciprocation. 31Teach your children to give back. 32Bring a meal to someone in need. 33Donate unused items to any current relief programs. 34Contribute to local charity programs, walk-a-thons, can donations, etc. 35Leave nice notes with thoughtful ideas on community bulletin boards. 36Carpool with those who live or work nearby. 37Offer to baby-sit for someone in your community. 38Do your work with integrity and try to go the extra mile. 39Clean up the local park or roadside. 40Care for the environment, be conscious of waste, recycle, pick up litter. 42Honor those serving your country. 43Pray for your leader(s), that the Lord may grant them compassion and wisdom. 44Speak up on issues and causes you believe in, or against injustices. 45Fulfill your civic responsibilities willingly and cheerfully. 46Show respect for the good in your country, even if there are elements of the politics you don’t agree with. 47Let officials you respect know that you appreciate their work. 49Pray for your church and the leaders of it. 51Volunteer at your local church to be an ambassador for local community outreach. 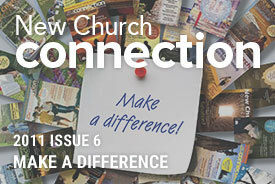 53Help with your church newsletter. 54As a congregation, help clean up another church building in severe disrepair. 55Serve on your church board or committee. 56Donate your frequent flyer miles to your Pastor’s professional development. 57Go without something (your weekly coffee, going to a movie, etc) and donate that amount instead. 58Fast and donate the amount to a food drive. 59“Give 1/10 of all you have”. 60Read the Word to someone else. 61Share your journey with another.